Vista Studios has something great planned for Vista Nights next Thursday, July 17, (5-8pm). We are partnering with Carolina Wildlife Care! They will bring some of their animals to Vista Studios / Gallery 80808, 808 Lady Street, and artists are welcome to come set up and use them as models! Won’t that be fun! They may bring hawks, owls, turtles, flying squirrels, etc! I can’t wait to see what happens. Please include their link:http://carolinawildlife.org in any of the advertising for this event. They are a small organization doing big things and can use any help. Any artist is welcome to come and join the painting session. Photography will be allowed also. City Art, 1224 Lincoln Street, Meet artist Lee Monts during his solo exhibition, “Age and Intuition,” featuring over 80 paintings to celebrate the artist’s 50th birthday. New paintings by Jo Dean Bauknight, Claire Farrell and Kathy Rorie. The Gallery at Nonnah’s, 923 Gervais Street, check out art by local artists and enjoy a live violinist. if ART Gallery ,1223 Lincoln Street, “Open Studios at if ART Gallery:” Michaela Pilar Brown and Tonya Gregg have turned the gallery into a temporary studio space. Visitors are invited to take a look at what they are creating. Lewis & Clark ,1001 Huger Street, a selection of Clark Ellefson’s new lamps and robots and mid-century bucket chairs in period colors. Studio Cellar, 912 Lady Street, Van Go to Go, 6:30 p.m. Take a 3-hour class and create a painting inspired by Van Gogh while sipping on your beverage of choice. Visit studio-cellar.com for coupon. River Runner, 905 Gervais Street, Chaco and Teva sandals, and introducing new product lines, Kavu shorts, shirts, women’s tops and handbags. Urban Outfitters, 912 Gervais Street, open until 9 p.m. offering men’s tanks (two for $28), women’s mix and match tees and tanks (two for $28) and other promotions and markdowns. 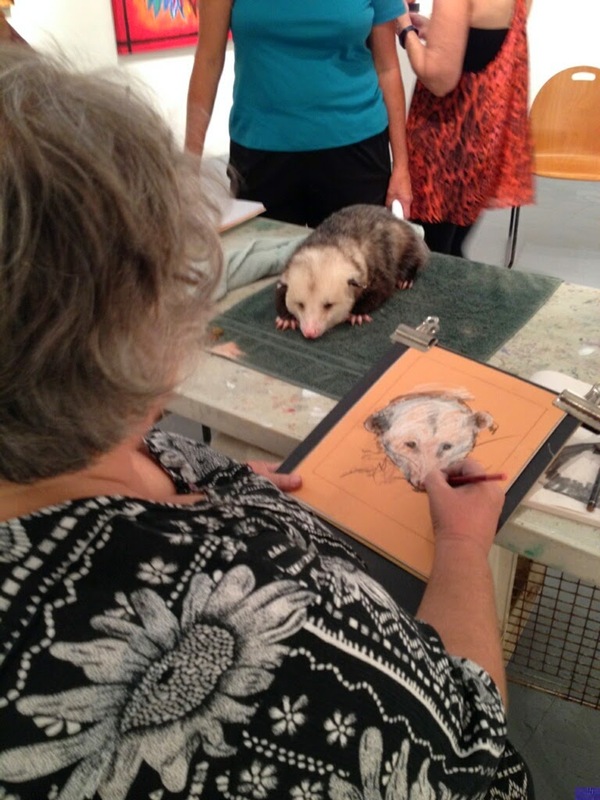 Vista Studios/Gallery 80808, partnering with Carolina Wildlife Care, which will bring animals to model for artists. All artists are welcome to attend. Photographers are also encouraged to attend. Parking, as always, is available in the Vista’s parking garages at 820 Washington Street and at the corner of Senate and Pendleton Streets behind the Hilton.